Remove the stem and core of apples with a melon baller, leaving the bottoms intact. Combine oats, sugar, pecans, 1/4 cup cider and ginger in a small bowl. 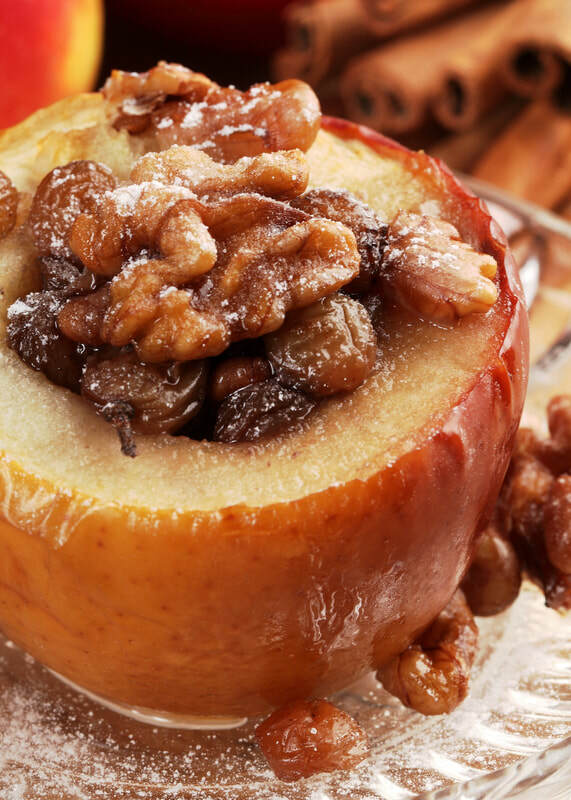 Fill each apple with about 2 tablespoons of the filling and place in an 8-inch-square (or similar-size) baking dish. Sprinkle with ground cinnamon. Pour the remaining 1/2 cup cider around the apples. Cover the dish with foil. Bake the apples until tender, about 20 minutes. Uncover and continue baking until the apples are very soft but still hold together, 10 to 15 minutes more. Let cool about 5 minutes before serving.